Details about 200 Qty. 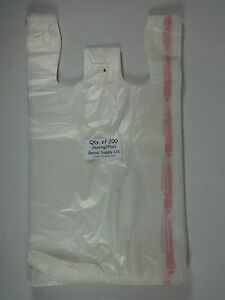 Clear Plastic T-Shirt Retail Shopping Bags with Handles 11.5" x 6" x21"
200 Qty. Clear Plastic T-Shirt Retail Shopping Bags with Handles 11.5" x 6" x21"